Monday's Torrey Pine collapse that killed two people in an Ocean Beach vacation rentals is leading to further concerns about the large trees that line some San Diego neighborhoods. OCEAN BEACH -- Monday's Torrey Pine collapse that killed two people in an Ocean Beach vacation rentals is leading to further concerns about the large trees that line some San Diego neighborhoods. Arborist Kurt Peacock says you can never predict when a tree is going to fail, but that people are more likely to be struck by lightning. 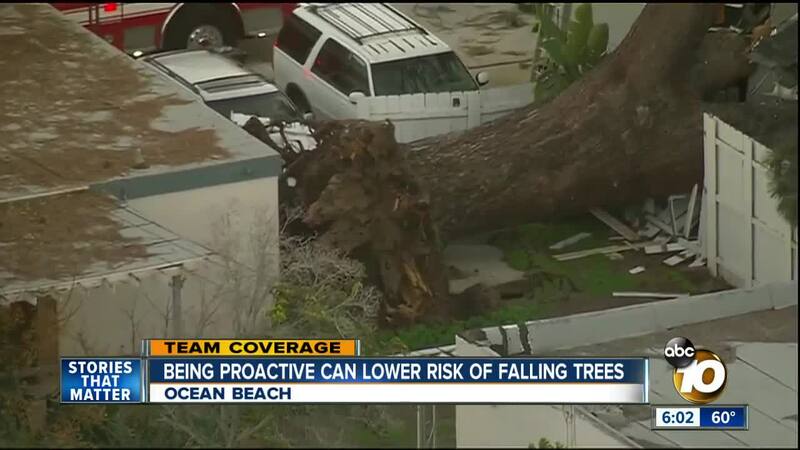 Still, San Diego's winds, damp soil, and large trees boxed in by concrete are leading to risk. The Torrey Pine that fell Monday was estimated to be about 75 years old. "It had to be a weak tree to begin with, or it wouldn't have toppled over," said Wayne Tyson, a former city arborist. Tyson said signs a tree is in trouble can be obvious. He said if a tree starts to lean and gets more extreme overtime, it could be time to remove it. He said people can measure the angle themselves with an inclinometer. 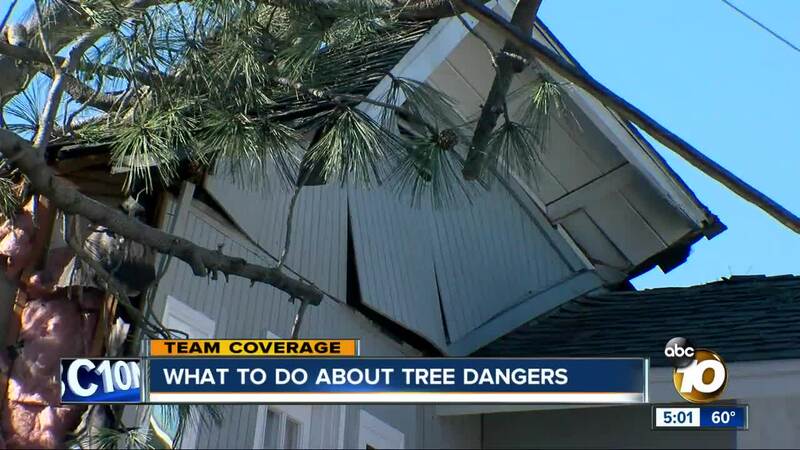 "If it's leaning any more, you probably want to take the tree out because it's in the process of falling, it's just doing it very slowly," he said. He added that if the soil around the tree is coming up, it means the roots are starting to shift underground. Arborist Brad Brown said sometimes proper irrigation can fix problems below ground. "Most people water their trees as if they are grass or other plants," he said. "They use the sane irrigation system and the same cycle. Trees actually need infrequent watering at a deep level." A tree's roots are often constrained by the world around them, like concrete foundations. Those foundations could box in the roots, leading to dangerous situations. Evan Walker, a personal injury attorney, has dealt with cases involving tree damage. The first question a person should ask is who owns the tree. "It doesn't matter if the owner of the property is the government, the HOA, a corporation, or a private individual. The rule still holds. You have to look at where the trunk of the tree is located," Walker said. He said before you go to court or talk to a lawyer about a disputed tree, talk to your neighbor first. "Let them know your concerns and give them an invitation to work with you," he said. Walker advises to also back that up with written documentation. If a tree has already caused problems, he said to photograph the damage, call your insurance, and report the claim. Lastly, do not take matters into your own hands. "You don't want to take clippers and a chainsaw and start going to town on your neighbor's trees without letting them know," Walker said.